Ohaguro is a custom among Japanese women that continued until the early Meiji period. 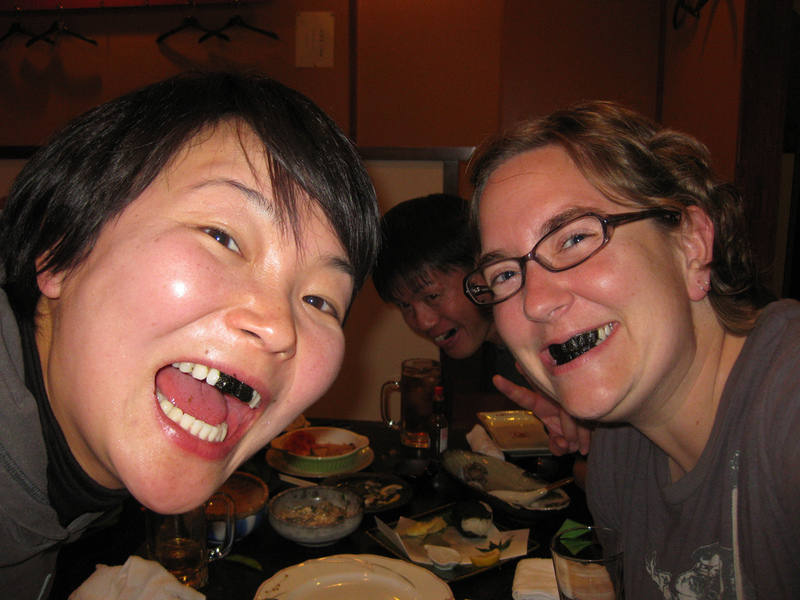 True to its name, ohaguro means to dye your teeth black using black liquid made of iron. The tradition has a very long history and is said to have come from the Korean Peninsula during the Nara era (710-794). That white teeth are considered beautiful is a modern concept. From the Nara period through the beginning of the Meiji period, blackened teeth were considered beautiful. White skin, raven-black hair, black eyebrows, and blackened teeth were regarded beautiful. During the Edo period, blackened teeth were also worn by women to signify their married status. 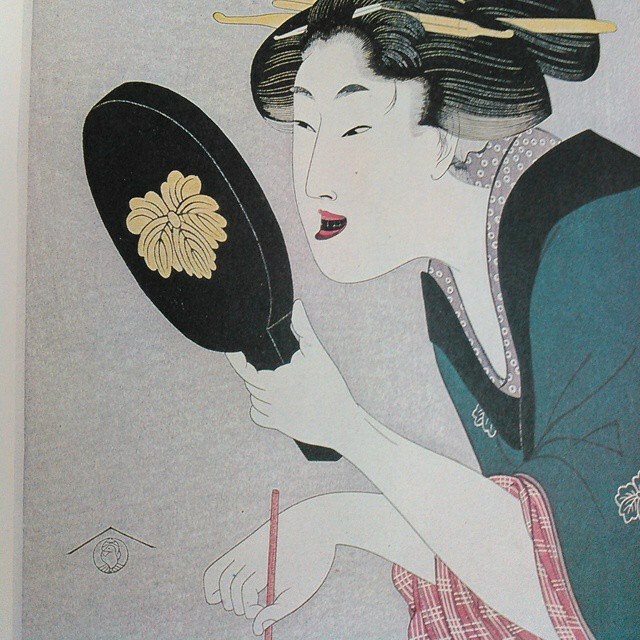 The tradition of Ohaguro did not employ any black ink. Women used a liquid made from charred nails and tea (kane), and a powder made from the sap of the sumac tree (fushiko). Repeated many times the residue saturates the enamel and pigments the teeth. . Eventually the black color remains notwithstanding any brushing.The custom of ohaguro was perceived as an odd tradition by foreigners. Admiral Perry was frightened by it on arrival to Japan. Due to its savage image, the custom was banned during the Meiji period. Ohaguro was said to prevent cavities. It is said that hydroxy-apatite that is used in tooth paste today, was inspired by Ohaguro. The word Ohaguro was a term used by Japanese nobles. In the Imperial Palace the practice was also called Fushimizu. Among commoners the terms Kanetsuke, Tsukegane, Hagurome, were used. Outside of nobility and royalty, the custom gradually ceased among males during the Edo period. Additionally, young women also distanced themselves from the practice due to its foul odor, time-consuming preparation, and aged appearance. Ohaguro became conventional for married women, unmarried women older than 18-20, and geisha and whores. In rural areas, women donned ohaguro during special events such as festivals, weddings, and funerals. Demae: You think Domino’s invented deliveries? Japan’s meal delivery culture started hundreds of years ago!